Every week it seems like there is a hot new kitchen gadget that is supposed to make our food better, our work shorter, and practically cook for us. With all of the new and shiny kitchen tools out there, it’s easy to forget about the trusty standby, the electric skillet. The electric skillet is an underutilized cooking implement that is surprisingly versatile. It can be used for anything that you would do in a traditional stove-top model and, surprisingly, can even be used for baking cakes, or, in the case of this recipe, that old southern staple, cornbread. 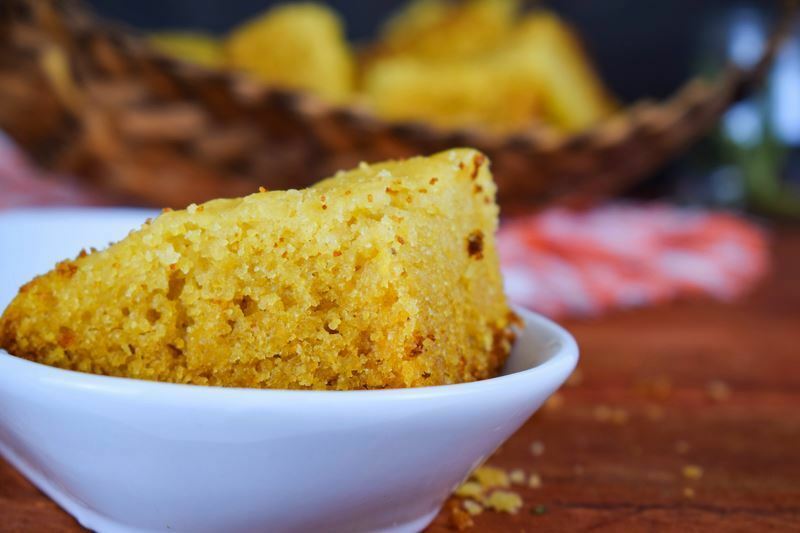 The steady heat distribution of the electric skillet makes for a moist, evenly-cooked, easy to bake cornbread that will rival your granny’s recipe. 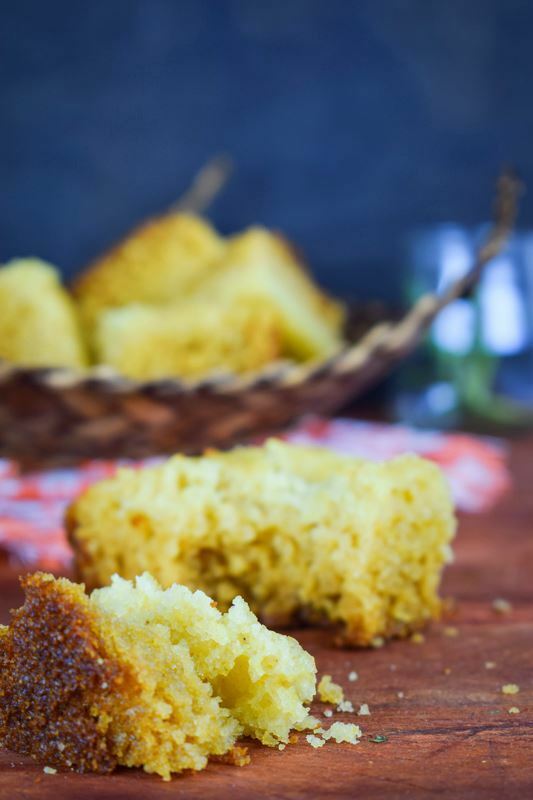 The steady heat distribution of the electric skillet makes for a moist, evenly-cooked, easy to bake cornbread! In a large bowl, combine flour, cornmeal, sugar, salt and baking powder. Stir in egg, milk and vegetable oil and mix until well combined. Pour batter into a greased baking pan (a 9" circular pan works well in a 12" e-skillet) that fits loosely in the electric skillet and place on a low slotted or perforated rack to prevent burning at the bottom. Cover with the lid and cook at 375°F for 25–40 minutes, depending on your electric skillet. You’ll know it’s ready if you insert a toothpick and it comes out dry. Nutrition information on In the Kitch is provided as a courtesy and is an estimate only. It may not include toppings and/or dipping sauce. Tried this recipe?Mention @inthekitchdotnet or tag #inthekitchgrams! The beauty of such a simple and easy to master recipe is that the possibilities to make it your own are endless. 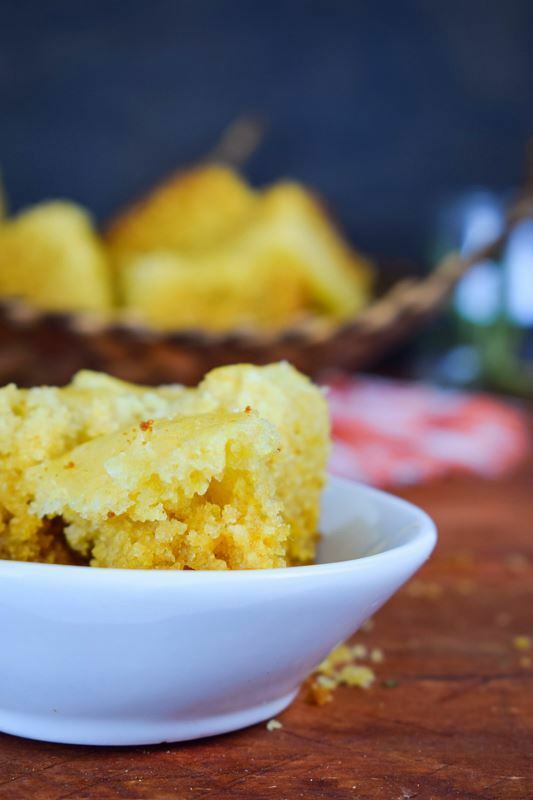 Adding creamed corn and/or honey to this recipe will make a sweeter, more traditional cornbread, while chopped jalapenos and shredded cheese make a perfect savory accompaniment to your favorite stew or chili recipe. 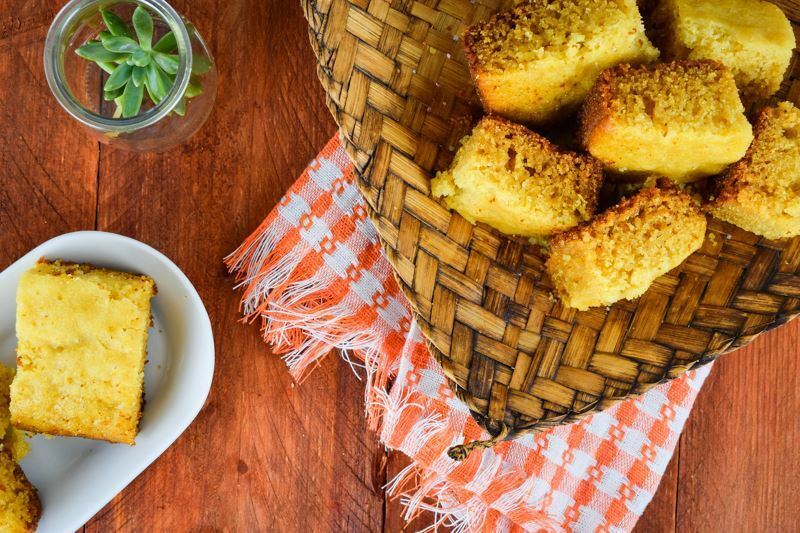 This cornbread should last in the fridge for about a week (if you can resist it that long) or at room temperature for one or two days. You can also try freezing it. After you bake this delicious electric skillet cornbread, what other recipes or techniques are you looking forward to trying with your electric skillet? I am Joss, the creator and editor of In the Kitch. I am inviting you on this food journey with me to learn, grow and bring out that inner chef in you. I hope to inspire you to get creative in your own kitchen! Copyright 2019 In the Kitch. In the Kitch is a participant in the Amazon Services LLC Associates Program, an affiliate advertising program designed to provide a means for sites to earn advertising fees by advertising and linking to Amazon.com. We occasionally link to goods offered by vendors to help the reader find relevant products. Some of these may be affiliate based, meaning we earn small commissions (at no additional cost to you) if items are purchased. This does not influence our opinions, but we believe in transparency so you can make informed choices. Read more here.